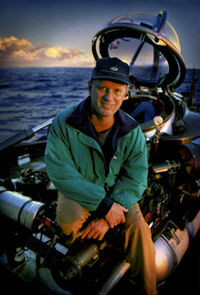 Best known for his 1985 discovery of the Titanic, deep-sea explorer Robert Ballard, Ph.D. has succeeded in tracking down numerous other significant shipwrecks, including the German battleship Bismarck, the lost fleet of Guadalcanal, the U.S. aircraft carrier Yorktown (sunk in the World War II Battle of Midway), and John F. Kennedy's boat, PT 109. The man who discovered the wreck of the RMS Titanic, which struck an iceberg and sank during its maiden trans-Atlantic voyage in 1912, will be the featured speaker at the Wright State University 2012 Honors Institute. Robert Ballard is known for discovering sunken ships. His other finds include the Lusitania and the German battleship Bismarck. Ballard will give his keynote address on Thursday, March 1, at 7 p.m. in the Student UnionApollo Room. This event is free and open to the public. Registration has now opened for the Honors Institute Symposium. The symposium includes morning breakout sessions, a luncheon presentation by Cornelia Dean, science writer for the New York Times, and outreach by community organizations. The symposium will take place on March 2 from 8:30 a.m. to 1:45 p.m. in the Wright State Student Union. 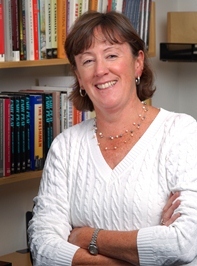 Cornelia Dean is a science writer for the New York Times, where she writes mostly about environmental issues and science policy, and a lecturer in the School of Engineering and Applied Sciences at Harvard University. The interdisciplinary Honors Institute brings participants together for a multi-track learning experience that includes a provocative community event. “We want to introduce students to a variety of pedagogies so they don’t think the only way they can learn is in a classroom setting,” said Susan Carrafiello, director of the Honors Program. She described the symposium as a combination of classroom learning and service-learning in a scholarly conference atmosphere. The symposium is free, but space is limited and advance registration is required. For more information, visit http://www.wright.edu/academics/honors/institute/2012/.